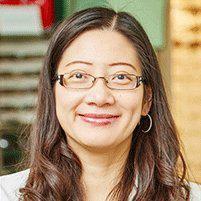 At Accurate Eye Care, Dr. Yang Ping Chang is a leading optometrist providing services in Paramus, New Jersey for glasses and contact lenses for adults and children, emergency eye care, diabetic eye care, eye infections, cataract surgery, LASIK consultations, corneal refractive therapy, and optometry consultations. She offers a full range of options to meet your eye care needs in a warm and welcoming environment. 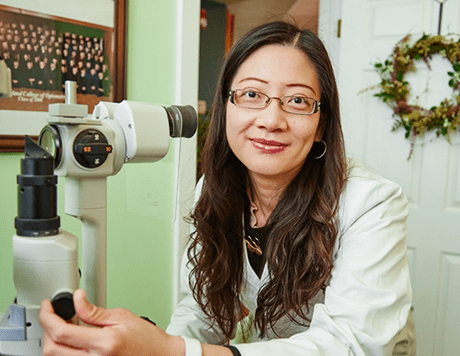 After completing her undergraduate studies at the University of Notre Dame and Pacific University, Dr. Chang completed her doctorate of optometry at the New England College of Optometry. She completed her hospital-based residency through the Southern California College of Optometry. She is certified by the American Board of Optometry and was ranked in America’s top optometrists by the Consumers’ Research Council of America. Dr. Yang is professional about her practice and passionate about her patients. As a board-certified optometrist, Dr. Yang offers the highest standards of quality and individualized attention to her patients in a relaxed and professional atmosphere. She looks to exceed patient expectations by providing personalized care for you and your family. Dr. Yang completes comprehensive eye exams herself and takes her time discussing the findings and different options available for each patient. She is dedicated to delivering the highest quality care for all of her patients by taking the time to listen and delivering individualized service. Dr. Chang and the entire staff of Accurate Eye Care welcome all new patients to the practice, where most major forms of health insurance are accepted.